This is a black shirt with a light pink single panel. 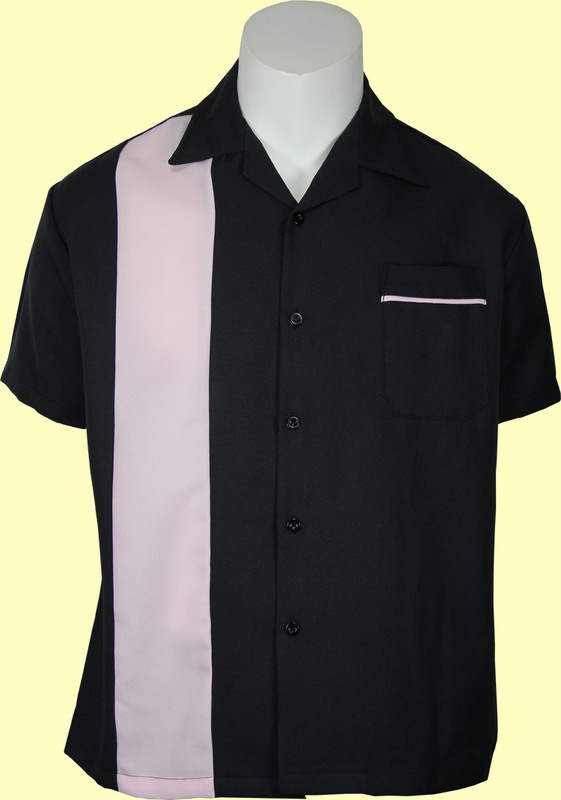 The chest pocket is accented with light pink piping. The Polyester Poplin fabric gives the shirt a nice feel that is also very low maintenance.